Should our government or the EU curb the power of tech companies? What is the influence of media on our democracy? How should governments deal with hate speech and the manipulation of elections via social media? Media artist Geert Mul will provide insight into his ideas on our internet-identity with his recent project A.I. and the Other and video artist Donna Verheijden will talk about social media’s influence with a sneak peak of her upcoming short film Kiss the Sky – I Trick the Eye. Along with Ellen Bijsterbosch (D66 Utrecht) and Matthijs Pontier (Piratenpartij Nederland) Mul and Verheijden will also discuss to what extend online micro-targeting, deception and speculation influence our society. Donna Verheijden worked on her short film Kiss the Sky – I Trick the Eye during her recent residency at Más Arte Más Acción in Colombia, which took place in the context of an exchange project between Impakt and Más Arte Más Acción organised in 2017-2018. As part of the exchange Verheijden was invited to the Más Arte Más Acción’s Chocó Base in Colombia and took part in the International Festival of the Image in Manizales. Verheijden sees it as a responsibility to analyse and criticise today’s imagescapes. Her main research focuses on mass and social media, its seductions and underlying power structures. 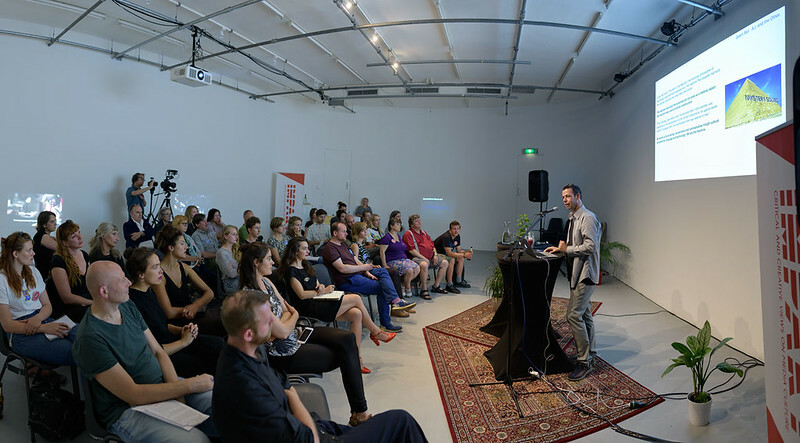 Verheijden teaches Time Based Media at ArtEZ University of Arts and is represented by LI-MA international platform for media art. For Mul, art is an poetic exploration and enrichment of media-language and ultimately of perception. Mul teaches Interactive Design – Unstable Media at the Gerrit Rietveld Academie in Amsterdam. Geert Mul is represented by gallery Ron Mandos, lives and works in Rotterdam, The Netherlands. Ellen Bijsterbosch has been creating critical comedic art about the data driven society at SETUP for the last few years. You will be able to recognize her from De Nationale Verjaardagskalender and her work at the Algoritmisch Historisch Museum. She is currently working at Mr. Hans van Mierlostichting creating a social-liberal perspective on algorithms and profiling. In march she has been elected as council member of D66 Utrecht. Matthijs Pontier was number two candidate on the Piratenpartij [Dutch pirate party] in the parliamentary elections in 2017. He strives for innovation in democracy and education at the Citizen’s Foundation and Idea Synergy. Furthermore, he is an activist with an abiding interest in creating a free society that focuses on civil rights and democratic renewal.